Are you visiting the beautiful city of Munich in Germany? There are so many incredible things to see and do in Munich. But you should also think about hiring a car from hiring a car from Munich Airport and visiting attractions outside the city. 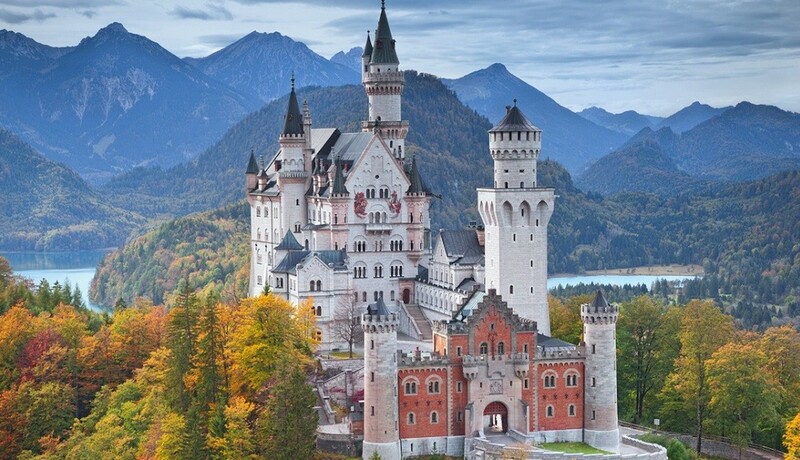 Here’s our list of the top five things to see during a short road trip from Munich. just above the castle. To avoid the crowd taking photos, continue after the bridge and hike a little higher up the hill. You’ll have a postcard view all to yourself. you’re in town. Also hire a row boat on the lake in town for another romantic and picturesque experience. foothills of the majestic Mount Zugspitze, and unanimously agreed to be one of the most stunning lakes in Germany. It’s a popular spot for swimming, boating and scenic hikes in summer, while you can go skiing in winter. While visiting the area, you should visit the beautiful 19th Century royal palace, Linderhoff, nearby at Ettal. Triberg im Schwarzwald, which is a town in Baden-Württemberg, is always a charm. Hidden in the famous Black Forest, it’s easily one of the most picturesque and popular towns in the Black Forest. Triberg is famous for Germany’s highest waterfalls, which drop 163 metres over seven cascades. In the town centre you could spend hours shopping for the Black Forest’s famous cuckoo clocks, woodcarvings and other souvenirs. We also recommend stopping by to visit the world’s largest Cuckoo clock in the Black Forest at midday! Rothenburg’s medieval charm is set to delight any traveller who visits the so-called Romantic Road. When you visit Rothenburg, which is a well-preserved medieval town, you are literally visiting a thousand years of history! Step back in time to the Middle Ages and the Renaissance with a walking tour of the city. Learn how people lived hundreds of years ago as you walk around the Old Town Walls. During your fascinating walk you’ll see the Spitaltor, a massive gatehouse built in the 1500s, and many stunning views over the River Tauber and surrounding forest. Take a journey back in time through the history of Porsche. The Porsche Museum in Munich is easily one of the world’s most spectacular car museums. You don’t even have to be a Porsche lover to have a great time here! Dozens of rare and beautiful vehicle line the exhibition space inside. Marvel at some of the iconic brand’s most incredible – and fastest – creations. You can also learn about the company’s history during World War Two and other key historic events.